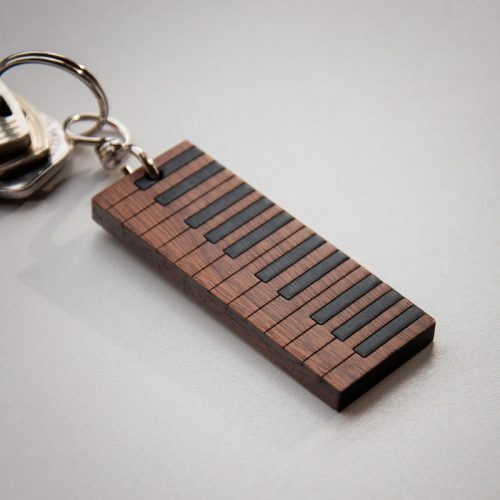 Looking for a gift for a musician? 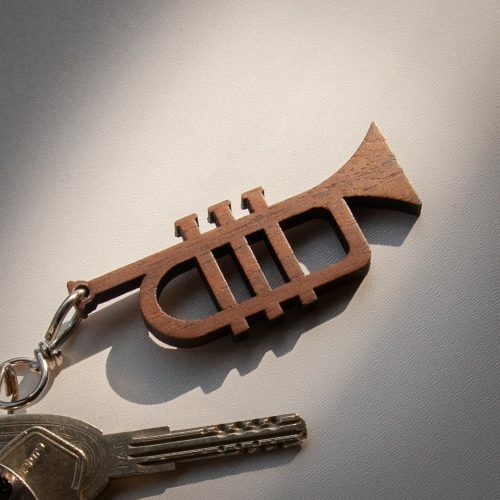 This is just the perfect little item! 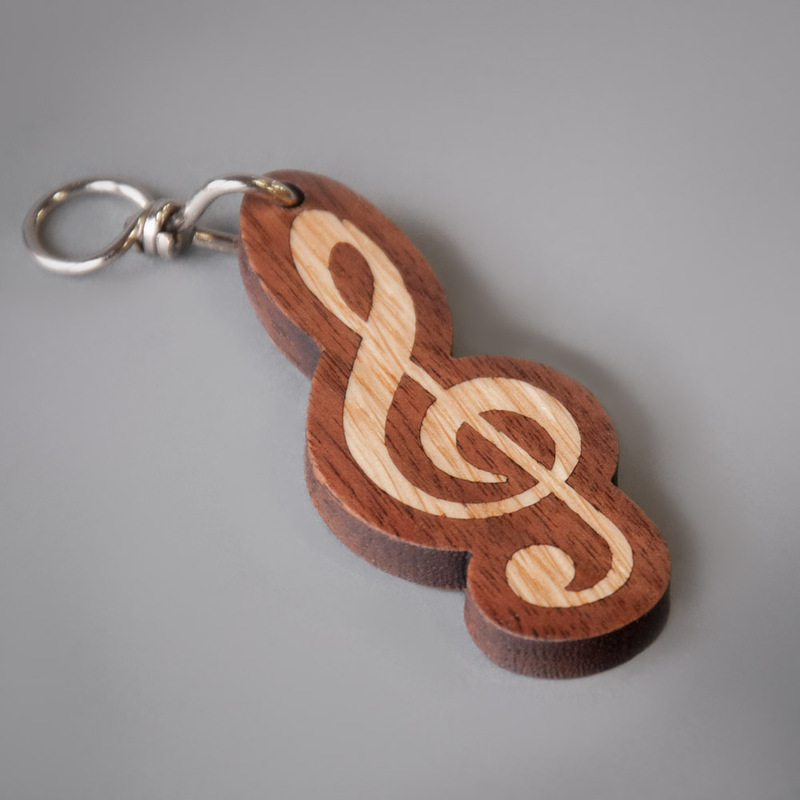 The bright oak G-clef, layed in rich walnut, creates a stunning ornament. 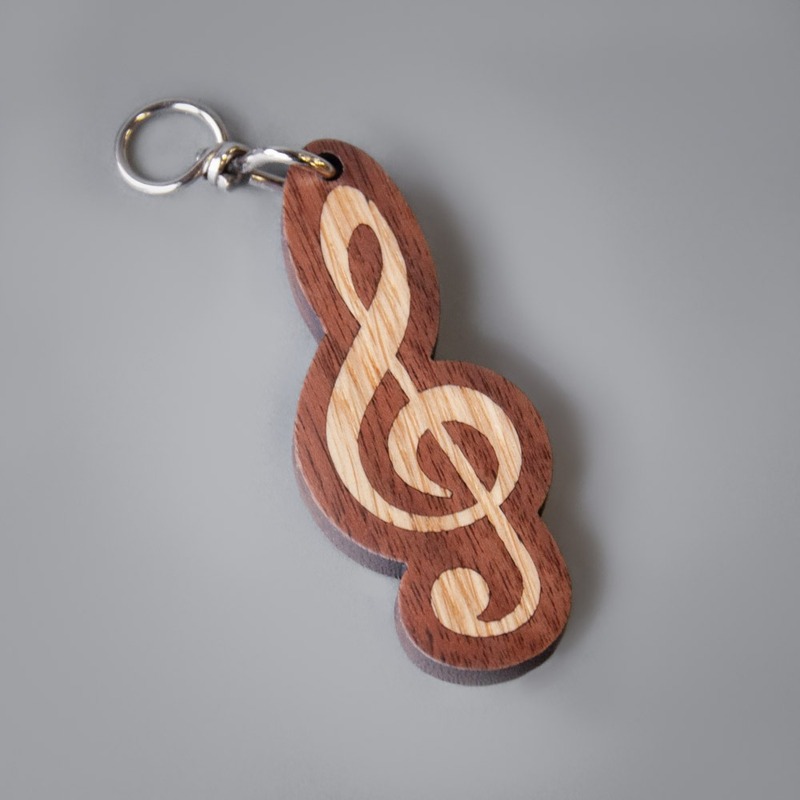 It’s the perfect way to show off your love for music. 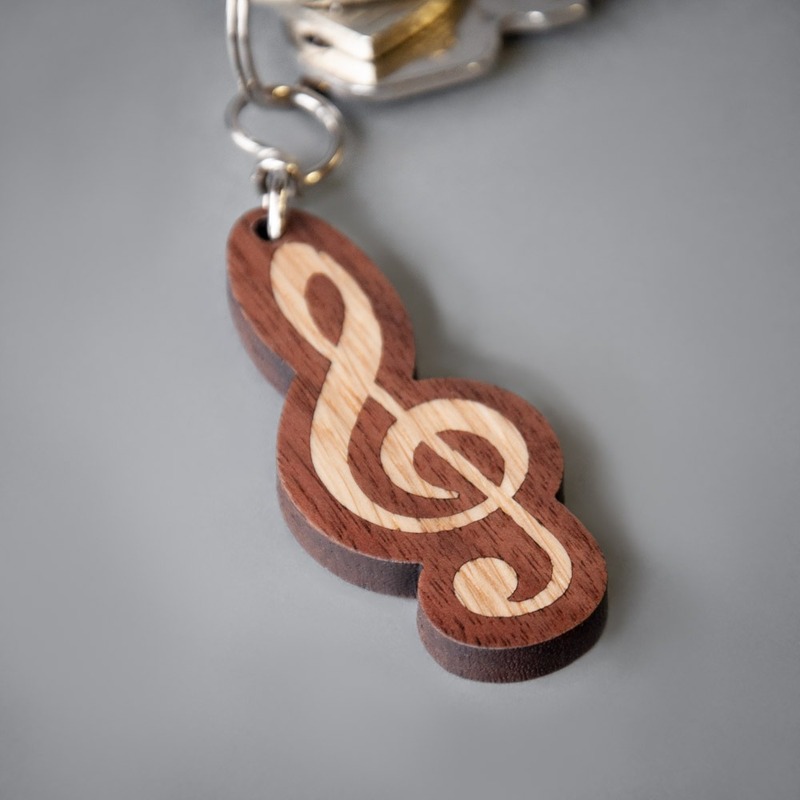 Handmade from the finest materials, this G-Clef keychain is the perfect gift for any musician. 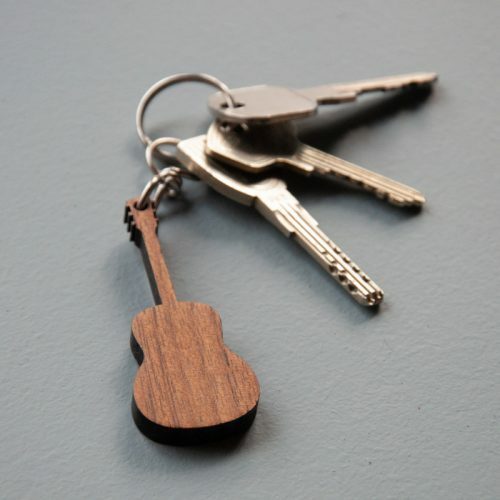 It is compact in size, so you can easily attach it to your keys and keep it in your pocket. Because it’s made from solid wood, it’s built to last! The G-Clef (an elegant letter ‘G’) is the most commonly seen clef in modern music notation. The Clef indicates the note G4 on the staff. NOTE: Please be aware that this product will be shipped in an envelope, so there will be no tracking information available.